Last edited by owlice on Tue May 22, 2012 8:58 am, edited 1 time in total. Reason: Attached smaller image for faster downloading; left link to larger image, yee-haw! 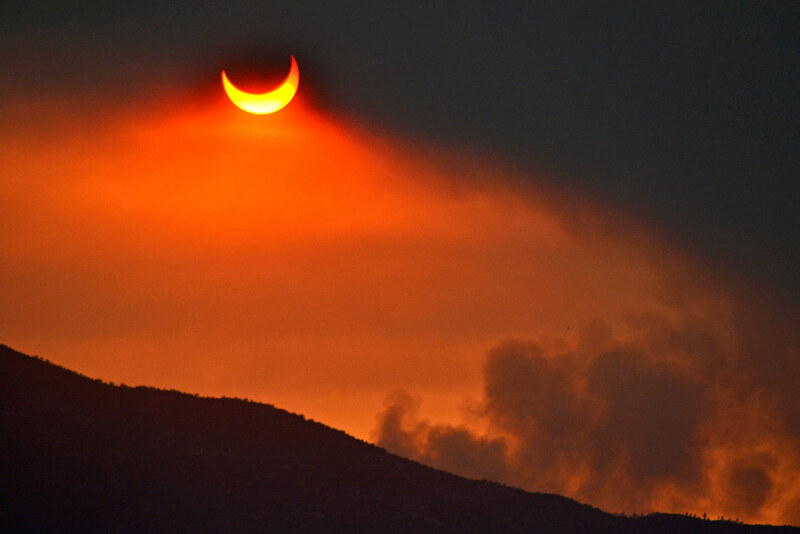 Eclipse, seen through the smoke of the wildfires near Sunset Point, just north of Phoenix, Arizona. Last edited by bystander on Mon May 21, 2012 8:25 pm, edited 1 time in total. 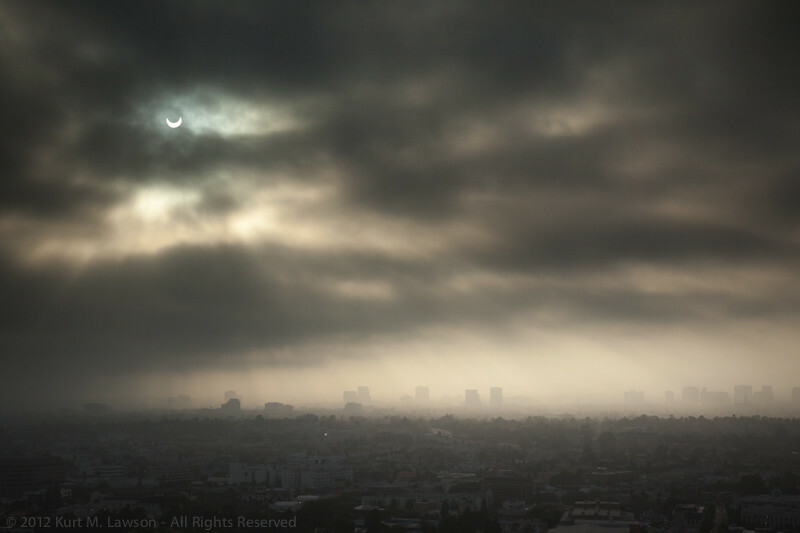 The Annular eclipse is ending. Here are all the cool things people built to watch the eclipse. From giant pinhole cameras to brainiac alien masks. 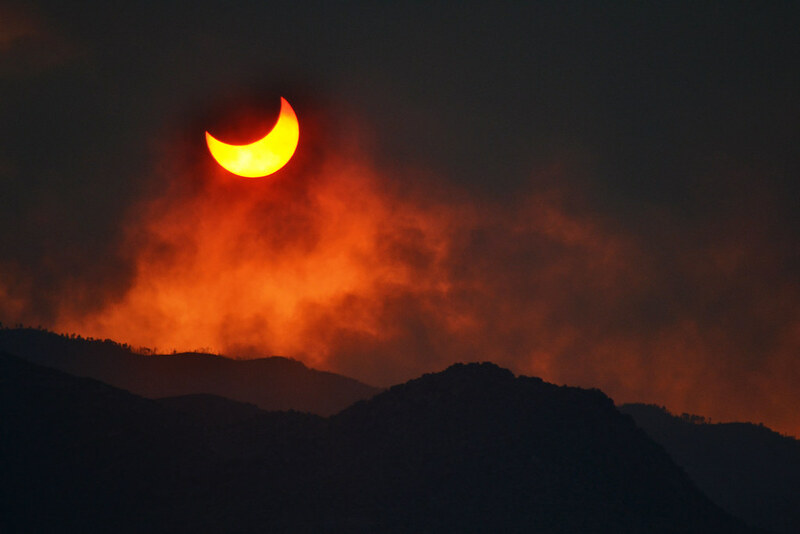 Some cool eclipse pics too. Taken at Whiskey Town Lake National Recreation Area in California. 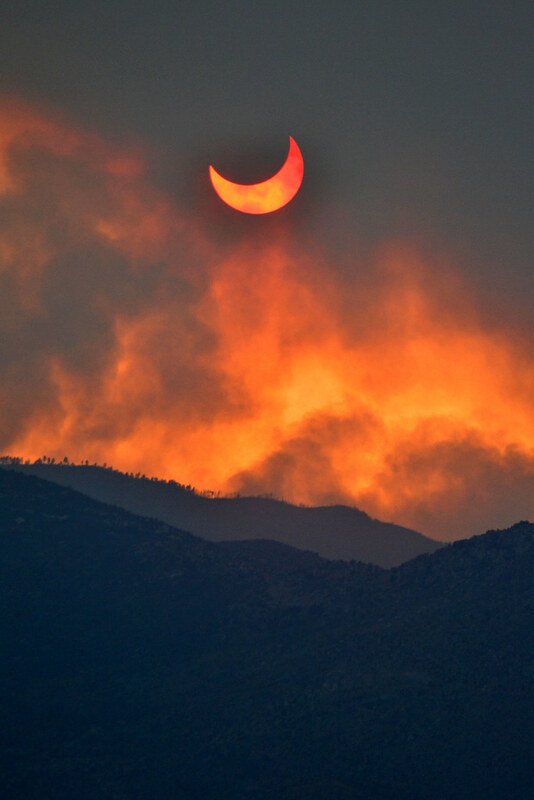 Eclipse sequence captured from the base of Sandia Peak in Albuquerque, New Mexico. The Sun set while the eclipse was still in progress. Last edited by bystander on Tue May 22, 2012 1:45 pm, edited 1 time in total. 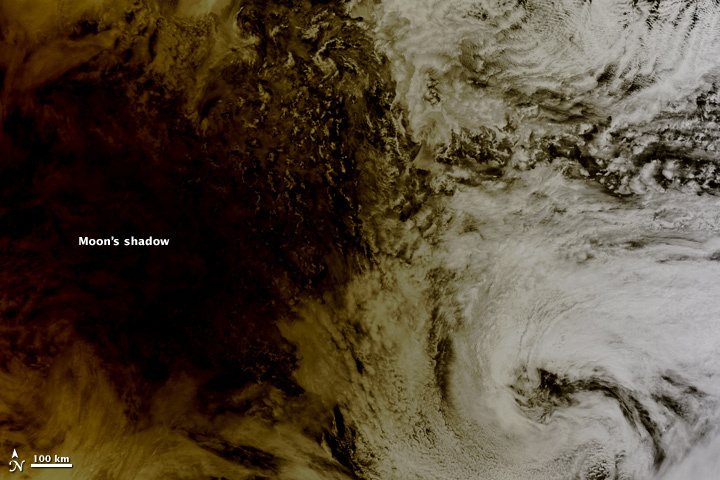 Shadow of an aluminum colander during annular eclipse. Red Bluff, CA. Last edited by owlice on Tue May 22, 2012 8:55 am, edited 2 times in total. Reason: Attached image, as Facebook images don't hotlink well; left link. Thanks for sharing! Shadow of index card with strategically punched pinholes. Red Bluff, CA. Last edited by owlice on Tue May 22, 2012 9:00 am, edited 1 time in total. 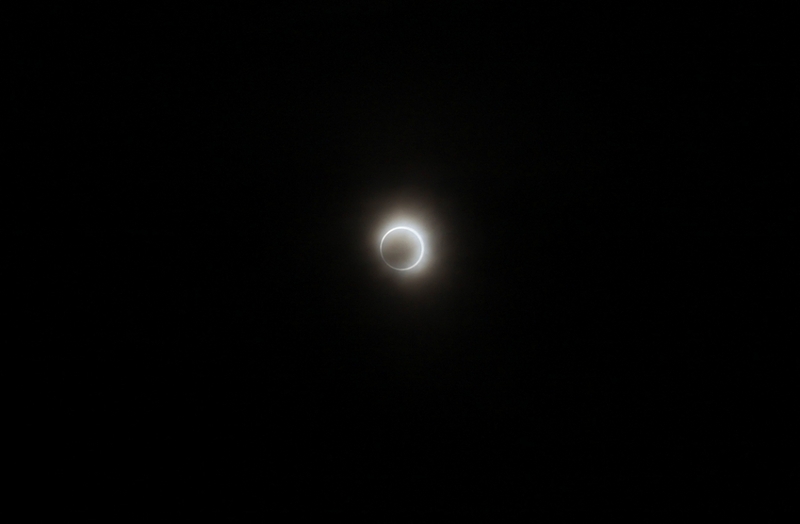 A friendly observer let me snap a photo of the Sun (and Moon) through her solar filter at a rest stop near Red Bluff, CA. Last edited by owlice on Tue May 22, 2012 9:02 am, edited 1 time in total. 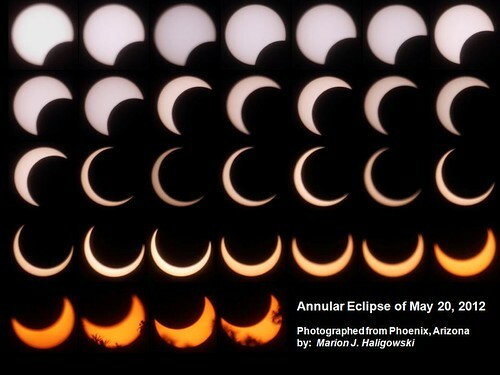 Thirty Two images of the May 20, 2012 annular eclipse were combined to make this composite image. The images were taken using various exposure settings to best capture the solar disc. 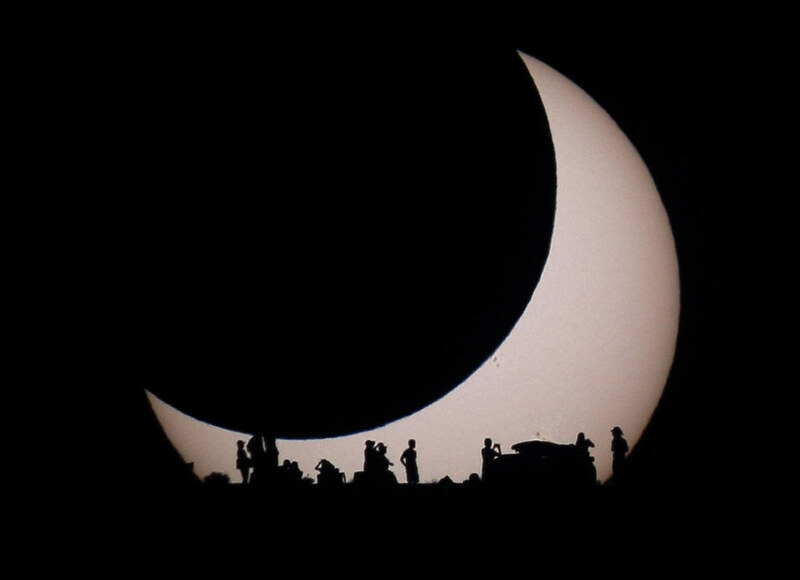 A Canon t2i and Sigma 70-300 mm telephoto lens at 300 mm was used. 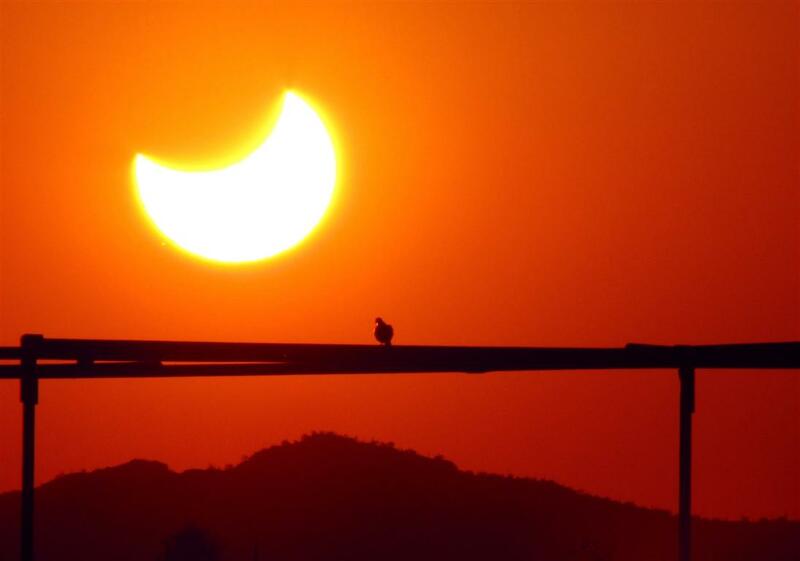 A Baader solar filter was applied over the telephoto lens to permit safe photography of the sun. The images were taken in my back yard in Phoenix, Arizona. Phoenix was located approximately a hundred miles south of the zone of complete annularity that was visible at the Grand Canyon and other regions of northern Arizona. Trees can be seen obscuring the solar disc in the later images taken near sunset. At my location, the sun set while still being partially eclipsed. During the annular eclipse there was a group of astronomers and park rangers at Glen Canyon showing visitors the eclipse. I was lucky enough to capture their activity with the sun itself as the backdrop! Last edited by stevethatsmyname on Tue May 22, 2012 3:08 pm, edited 1 time in total.